Brooke and I love basil pesto. We love how tasty and versatile it is – you can stir it through a pasta, use it as a pizza sauce, use it as an accompaniment to roast dishes – it’s a great all-rounder! 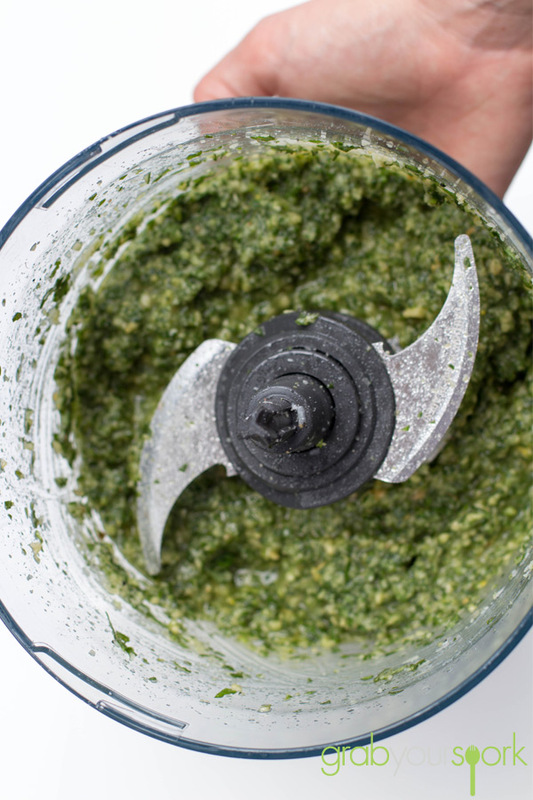 This simple basil pesto recipe is all those things and more. While there is an abundance of different styles available in jars at the supermarket, basil pesto is simple to master at home. It requires no cooking, and has few ingredients. 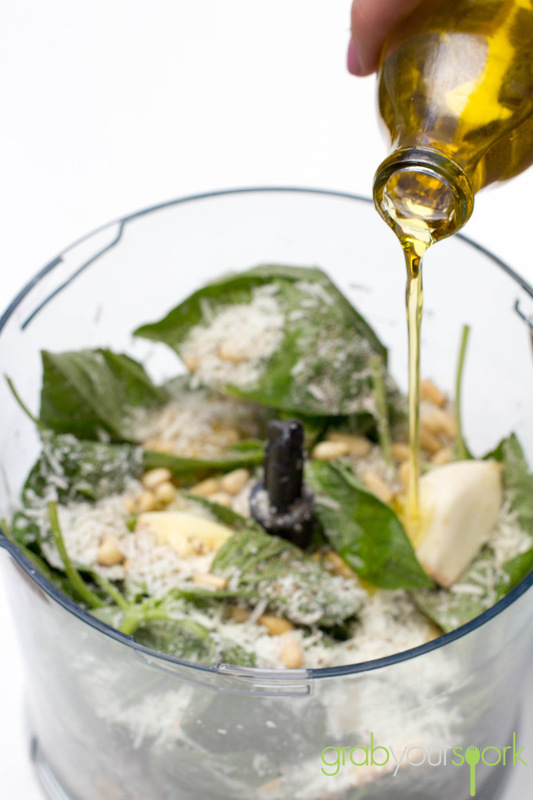 There are generally only five ingredients – basil, of course, pine nuts and garlic, plus olive oil and Parmesan cheese. This recipe uses a food processor to speed up the preparation time instead of the traditional method of pounding using a mortar and pestle. Like everything in cooking it’s the quality of the ingredients is what makes a great pesto. We managed to get everything we needed from the Prahran Market. If you are looking for some other savoury dips or spreads then check out our recipes for Sweet Potato Hummus or Simple Guacamole. 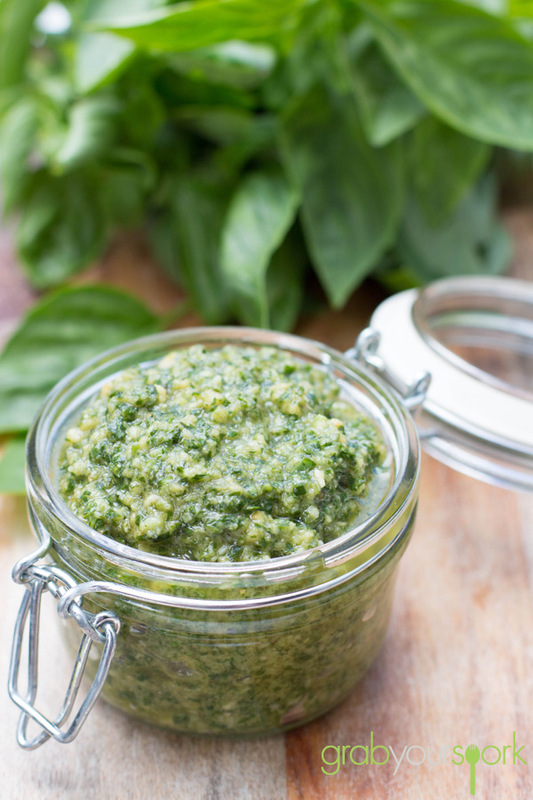 Basil pesto recipe made with only five ingredients - basil, pine nuts and garlic, plus olive oil and Parmesan cheese. 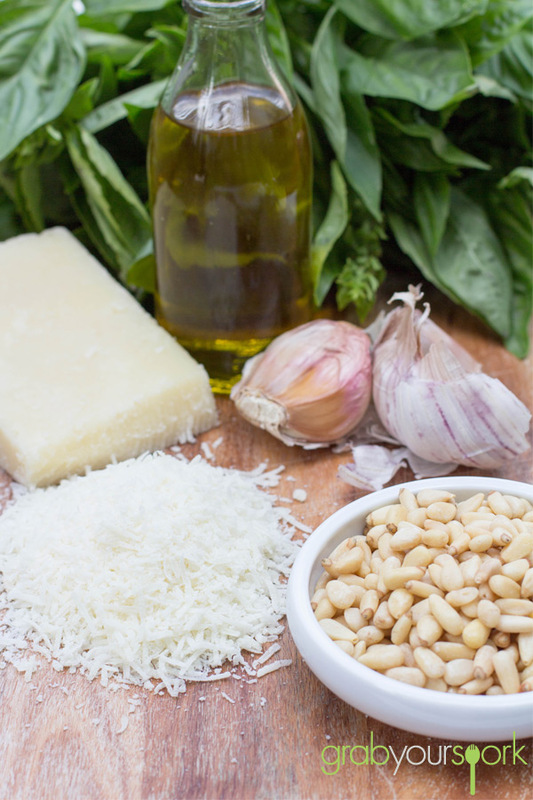 Place the basil, garlic, pine nuts and parmesan in the bowl of a food processor and process until finely chopped. While food processor is running, gradually add the oil in a thin, steady stream until well combined and a smooth paste forms. Season to taste with salt and pepper. Transfer to an airtight container and pour over a little extra oil to cover the pesto surface (this will prevent the basil from oxidising and turning black).